My observations on the recent capacity-building initiative by UndiMsia! in Marudi, Miri. Photos of the GameShop are here. 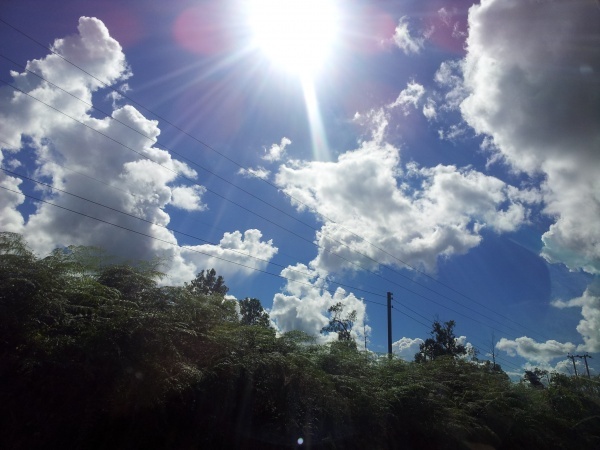 Experiencing a terrible car sickness in a two-hour journey of bumpy and windy roads cutting across tropical forests from Miri to Marudi, I brooded over why I had travelled so far. It was more depressing when I saw trees uprooted to make way for palm oil plantations and knowing that there were two gamecocks tied on the roof of the four-wheel-drive I was travelling in. I thought meeting new people in the exotic sleepy town that sits on the Baram river north of Sarawak should cheer me up a bit. I had tagged along with UndiMsia! that was to run its GameShop with the natives to arm them with knowledge of their rights which were often being violated. The GameShop came as part of the Program Belia: Mendidik dan Memperkasakan Golongan Belia organised by another rights group, Sahabat Alam Malaysia (SAM). 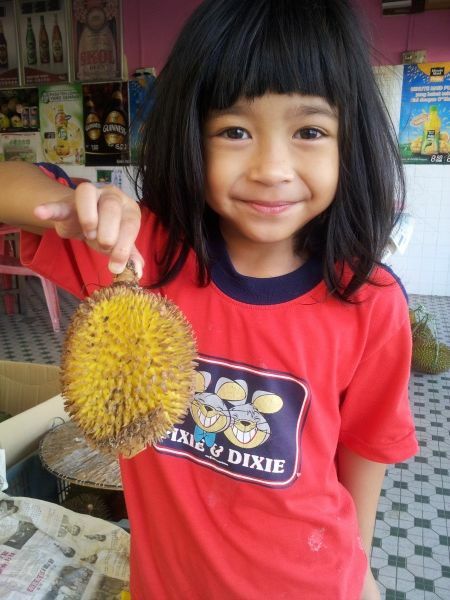 There were about 19 Orang Asal at the GameShop mostly Iban from all over Baram – Sarawak’s biggest district – with the youngest being 15. They were friendly and energetic. Human rights issues seem like a first world problem and I wondered if they had nothing else better to do. If you’ve been to UndiMsia!’s flagship GameShop, you can probably skip this paragraph. The day-long GameShop was broken down into several sessions: the group was asked about their expectations which many said were to learn to be more open-minded. They were then asked to think of five things to bring along – individually and in a group – as Earth is about to be destroyed. The conversations regarding the #KapalAngkasa module revolved around the decision-making process in a democracy and how minority voices shouldn’t be discounted. Then the various communities drew maps of their settlements in #PetaKomuniti, listed the problems they faced in #MasalahSetempat and indicated the causes and consequences of their problems in #PokokMasalah. That was when it caught my attention: after 49 years of Malaysia, most of them have never had access to clean water, electricity and decent living conditions. They mentioned several incidents this year of mothers being forced to give birth in vehicles as poor road conditions delayed their journeys to distant hospitals. Chunks of land in Marudi, a town one-sixth the size of Peninsula Malaysia, granted to the natives as part of their constitutional customary rights are being robbed to feed the State’s appetite for lucrative logging and palm oil businesses. Malaysia is number two in the world for palm oil production after Indonesia. Sarawak accounts for a quarter of the world’s exports of tropical logs, according to latest figures. “The thing is, they don’t negotiate with the communities. The land belonged to the communities for ages. 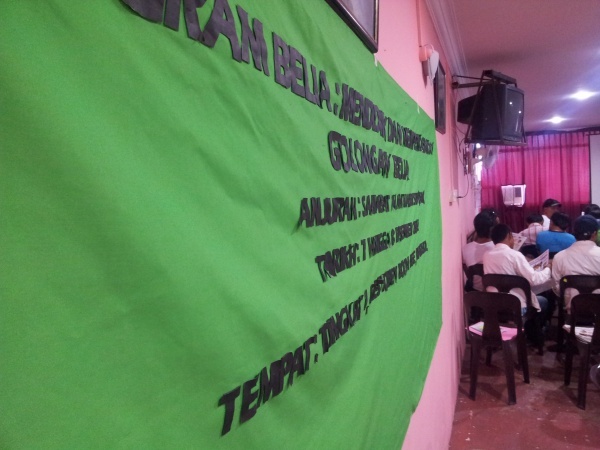 Companies come and say this is not your land,” said a SAM staff who is an Iban living in Marudi. Some of these are stories I have heard of before yet remained unfazed by them because they seemed too obscure, too far away for folks who live in Kuala Lumpur like me. A 24-year-old Ibanese from Kampung Tinjar said his family relies on rain for water. The river has been polluted by logging activities. 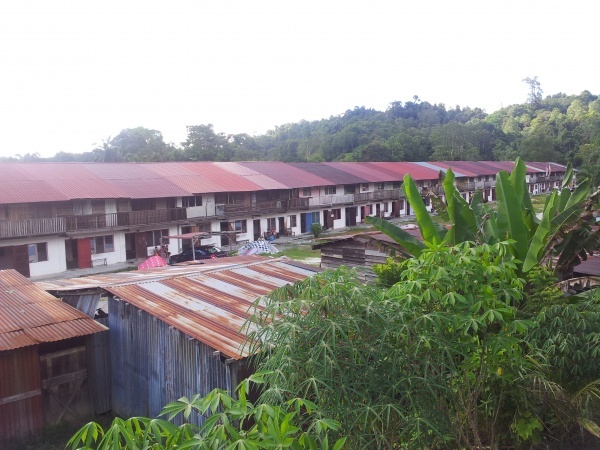 Left with only a longhouse and a three to five-acre farmland, and deprived of food from fishing and plants, many have resorted to working for a less-than-average wage for companies that have stole from them and are still doing so, he said. As part of finding solutions, they learned at the GameShop about the separation of powers, their civil rights and activism – terms that many adult city folks are familiar with. Why did you not fight back by at least voting against the Government, I asked a Kadasan-Ibanese, M.
“Dulu belum sedar, dulu tak kisah. Pasal tanah banyak di sini sedar. 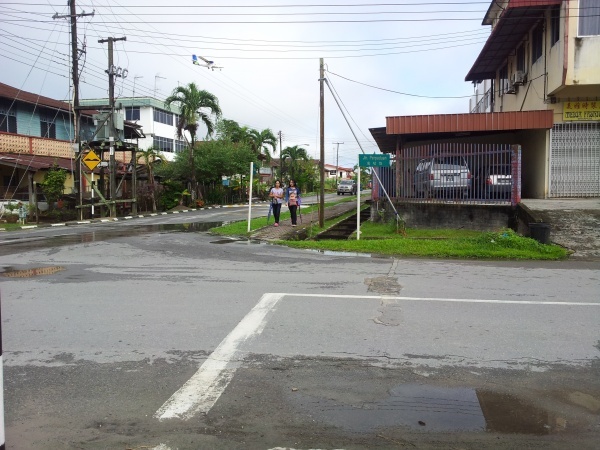 Tempat macam Bintulu dan Balingian – mereka main masuk untuk tanah kelapa sawit. Mereka masuk kita tak boleh buat apa sekarang. Itu sebabnya banyak sudah sedar sekarang. Because my father had a problem with land, that was how I met Sahabat Alam,” he replied. Orang Asal or the ‘original peoples’ should be entitled to tax waivers, to form their own government, to enforce laws within their lands and keep their identities – a practice found in many parts of the world. The GameShop saw the attendance of 19 participants out of about 50,430 Orang Asal who lived in Marudi and were most likely facing similar problems. It would be a long process to relieve the Orang Asal of their plight, but they were already taking a leap forward by actively engaging with rights groups. Words spread. 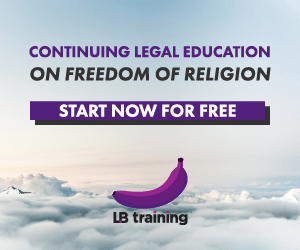 They are able to muster courage to protect themselves knowing too that there are many zealous lawyers running rights organisations supporting them. “Ini kali pertama kita jumpa macam ni, baik juga. Nanti mesti ramai nak datang. Mesti ada masa nak datang sebab susah nak dapat maklumat macam ni, suratkhabar banyak tipu. Kampung saya tak ada internet,” M. said. He told me he lived in Kuala Lumpur for eight years but he came back because he didn’t like it there. “All they talk about is money,” said the 35-year-old who works for an oil and gas company near here. 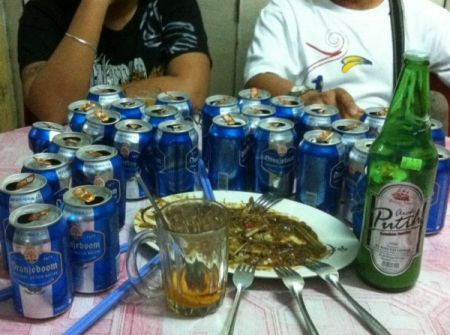 Later, M., a few others and I chatted the night away over 30 cans of beer and more than half a bottle of tuak. The next day, I was guided by a SAM staff on a tour of the town as she introduced me to her grandparents and a nephew who were there vending fruits plucked from their farm. She also brought me to see a cockfight and a gambling den in a remote forest – reluctantly – and after much persistence by me. I met more people. 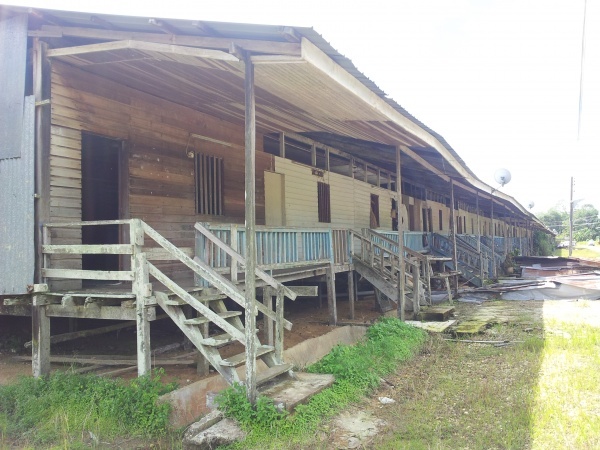 On my way to the Marudi airport, I passed by at least five longhouses – only one, where a district representative resides, was equipped with a water tank. In the taxi, the driver scoffed at the roads, “the road has been broken these past two years and they are fixing it now.” I hope the rest of the people would scoff at the stump speeches and election handouts when the polls come in June. I have found more than a purpose in the trip. After befriending the people, I know that I won’t be reading about their predicament too comfortably now as if they were obscure and afar. Tags: #IdolaDemokrasi, #KapalAngkasa, #MasalahSetempat, #PetaKomuniti, #PokokMasalah, Baram, Iban, Kampung Tinjar, Marudi, Miri, Orang Asal, SAM, Sahabat Alam Malaysia, Sarawak, UndiMsia! The writer is an inebriated informant who cares about Malaysia. Posted on 18 December 2012. You can follow any responses to this entry through the RSS 2.0. Read more articles posted by Jia NT.